Prosciutto Wrapped Asparagus Puffs - only 5 ingredients! Asparagus, prosciutto, dijon mustard, parmesan cheese and puff pastry. Great side dish or appetizer. Can make ahead of time and freezer for later. You can't go wrong with this recipe! SO easy and delicious!! 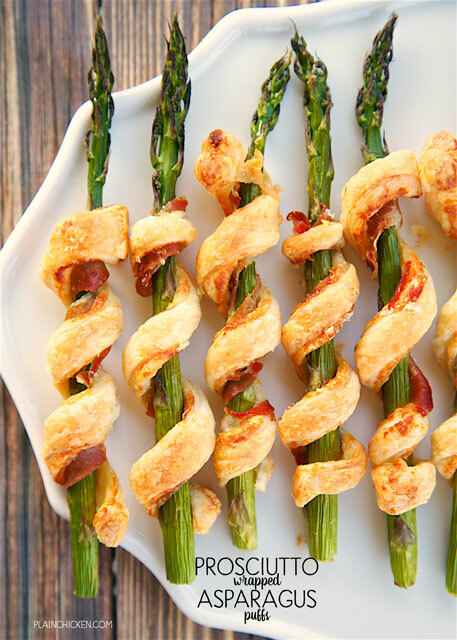 These Prosciutto wrapped Asparagus Puffs are great as a side dish or an appetizer. They are SO easy to make and taste great! I mean, just about anything wrapped in prosciutto and puff pastry tastes great! Am I right?!?! 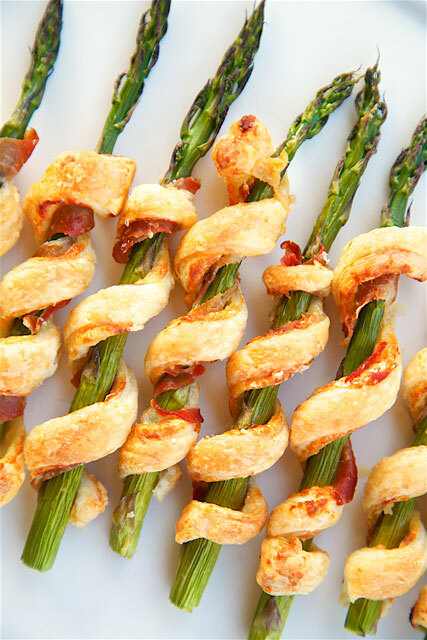 These Prosciutto Wrapped Asparagus Puffs look super fancy, but they are actually really easy to make. Just spread some dijon mustard on the puff pastry, top with cheese and prosciutto, cut into slices and wrap the asparagus spears. SO easy and such a great presentation. These are guaranteed to impress at a dinner party or jazz up your weeknight dinner! Lightly spray wrapped asparagus spears with non-stick cooking spray.